Doujin publisher Nyu Media has sent out a newsletter to media outlets confirming that five new games will be coming this fall. 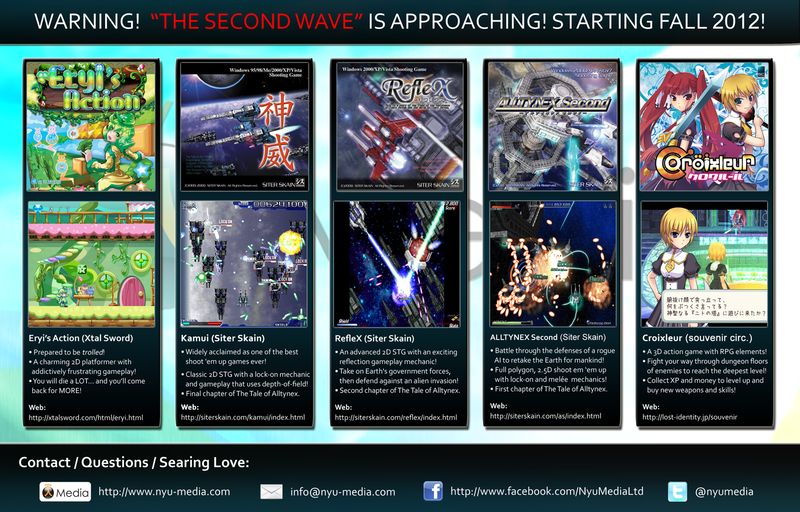 Three of them are vertical shmup games from the Siter Skain series. Like The eXceed Collection, this series features different mechanics with each game when dealing with incoming enemies and bullets. 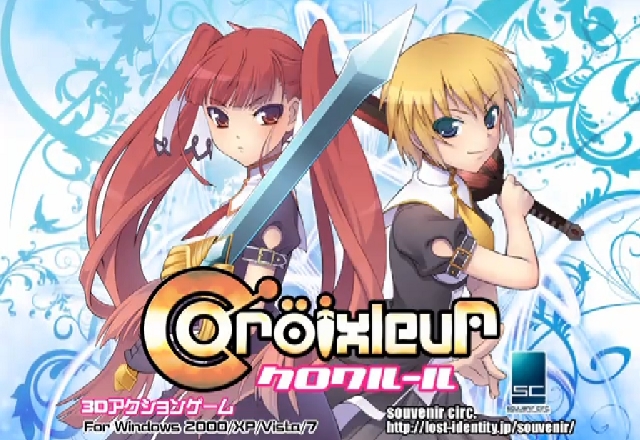 Croixleur is an arena styled Action RPG where you control a girl donned in a maid outfit and use different weapons to take out enemies. Finally… Eryi’s Action. This game… Clearly this is inspired by the likes of Kaizo Mario, I Wanna Be The Guy, and Syobon Action (maybe this is where Eryi’s Action got its title from). You got hidden spikes, surprise enemies, and windmills out to kill you! I think Eryi’s Action and I are going to be juuuuuust fine. These five are set to release this fall on Steam (along with other distribution platforms) and from the publisher itself. Product Descriptions after the break. • Prepared to be trolled! • A charming 2D platformer with addictively frustratingly gameplay! • You will die a LOT, but you WILL keep going back for more! • Widely acclaimed as one of the best shoot ’em up games ever! • Classic 2D STG with a lock-on mechanic and gameplay that uses depth-of-field! • The final chapter of “The Tale of Alltynex” which covers all 3 Siter Skain games. • An advanced 2D STG with an exciting reflection gameplay mechanic! • Take on Earth’s government forces, then defend the Earth against an alien invasion! • The second chapter of The Tale of Alltynex. • Battle through the defenses of a rogue AI to retake the Earth for mankind! • Full polygon, 2.5D shoot em ‘em up with lock-on and melée mechanics! • The first chapter of The Tale of Alltynex. • High speed 3D action adventure with RPG elements! • Fight your way through dungeon floors of enemies to reach the deepest level! • Collect XP and money to level up and buy new weapons and skills! This entry was posted in Gaming News and tagged Alltynex, アルティネクスセカンド, エリイのアクション, カムイ, クロワルール, リフレクス, Croixleur, doujin, eryi's action, Kamui, nyu media, pc, RefleX, siter skain on August 9, 2012 by Steven T..